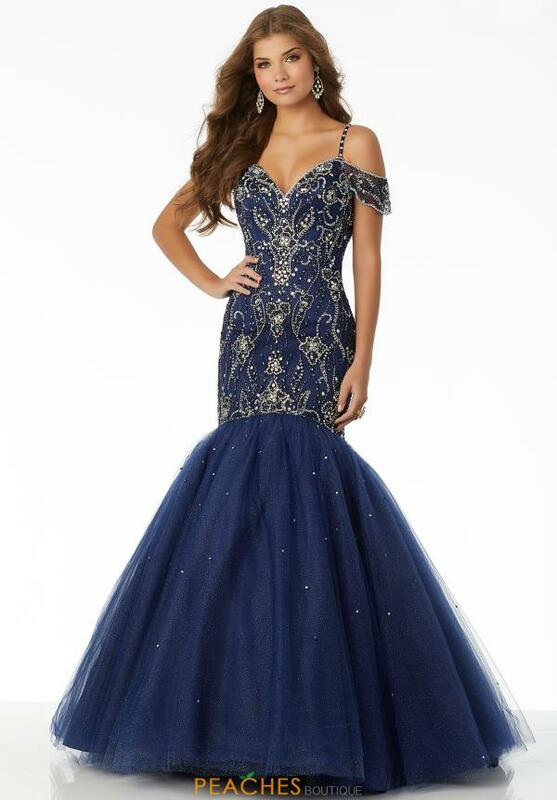 Make a grand entrance in this marvelous prom dress 42031 from Morilee. Features a modest sweetheart neckline and off the shoulder sleeves for an unique look. Sparkling beads adorn the silhouette as they create an intricate pattern throughout. Finished off with a dramatic tulle bottom for the perfect mermaid look.